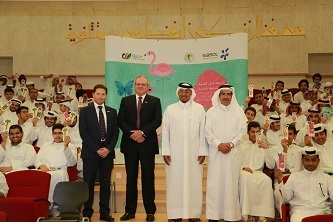 Sasol, the international integrated energy and chemical company and Friends of the Environment Center (FEC) launched today the ‘Qatar e-Nature’ schools contest, based on the successful ‘Qatar e-Nature’ app, at the Doha Independent Secondary School for Boys. The nature educational contest is open to students and their schools, and will run till 30th April 2014, with exciting prizes to be won across a number of categories. Launched in December 2013, the ‘Qatar e-Nature’ app is the first of its kind smartphone application that highlights the rich diversity of Qatar’s environment, including elements such as plants, birds, and insects. Sasol and Friends of the Environment Center (FEC) developed the app, which features content in Arabic and English. The app aims to support the objectives of Qatar National Vision 2030 to promote sustainable development by contributing towards an environmentally aware population. The user-friendly ‘Qatar e-Nature’ app is available for download free of charge on Apple App Store, Google Play store for Android, Windows Phone Store, and BlackBerry App World. A web version of the app (www.enature.qa) is also available for desktop access. Participants can also engage with the app team on their Facebook page (Qatar e-Nature) for more information. “Sasol’s commitment to the environment is consistent with the responsibility we have toward the communities in which we operate. Conservation starts with appreciation. We believe the ‘Qatar e-Nature’ contest will contribute towards a better understanding of the vibrant nature of Qatar, packaged in a fun and engaging way. We look forward to participation in the contest by schools across Qatar,” said Marjo Louw, President, Sasol Qatar. The contest is open to all students enrolled in schools in Qatar from grades 1 to 13 and can be entered either online (contest.enature.qa) or through the ‘Qatar e-Nature’ app. The participants can find the correct answers to the questions on birds, insects and plants in the contest, by browsing through the app content. Consisting of an eight-question multiple-choice quiz, the contest asks about information contained in the application and related to nature in Qatar. 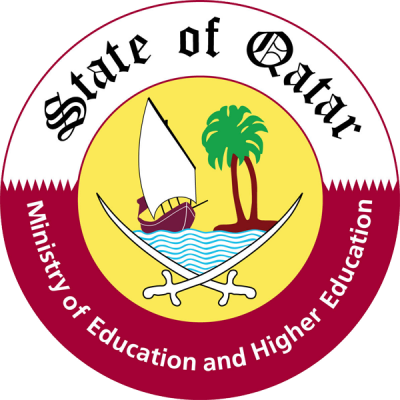 In addition, students will have the option of sending a photo of a bird, plant or insect that the student has taken in Qatar with his or her mobile device. To promote the contest, a ‘Qatar e-Nature’ team will reach out to schools in and around Doha, spreading awareness regarding the app and contest. • Awards for the five schools with the highest percentage of participating students. An awards ceremony will be held in May 2014 to celebrate the winners from every category and announce the grand prize winner. Sasol Qatar has been active in raising environmental awareness in Qatar as an extension of the company’s legacy in South Africa. For over 20 years, Sasol has published a popular field guide to bird life in Southern Africa. In 2003, the company launched Sasol eBirds of Southern Africa, an interactive app of the best-selling guide. The ‘Qatar e-Nature’ app and contest aims to bring this legacy of environmental education to Qatar, home to ORYX GTL – Sasol’s first gas-to–liquids (GTL) operation in a joint venture with Qatar Petroleum. Sasol is committed to supporting Qatar’s National Vision 2030 through its Corporate Social Investment efforts, which include a variety of social, educational, entrepreneurial and environmental initiatives. In 2012, Sasol initiated the ‘Definitely Able’ campaign, which has focused on empowering and bringing attention to the abilities of the disabled community in Qatar. Sasol also extends its support to the entrepreneurship community by partnering with Al Fikra Qatar national business plan competition and through an MOU with the Bedaya Center to help mentor budding entrepreneurs in Qatar. In late 2013, Sasol announced its support to Qatar University for a research project on Carbon Dioxide (CO2) recovery from flue gas. Sasol brought an acclaimed environmental play group to Qatar, for the QP environment fair 2013. Owing to the play’s popularity, the theatre company is all set to return for the QP Environment fair 2014 with newer shows, between 23rd to the 26th of April.